Interpines’ skilled remote sensing team showing the effectiveness of high resolution before and after satellite imagery for the flooding that recently affected Tolaga Bay in the Gisborne region of New Zealand. 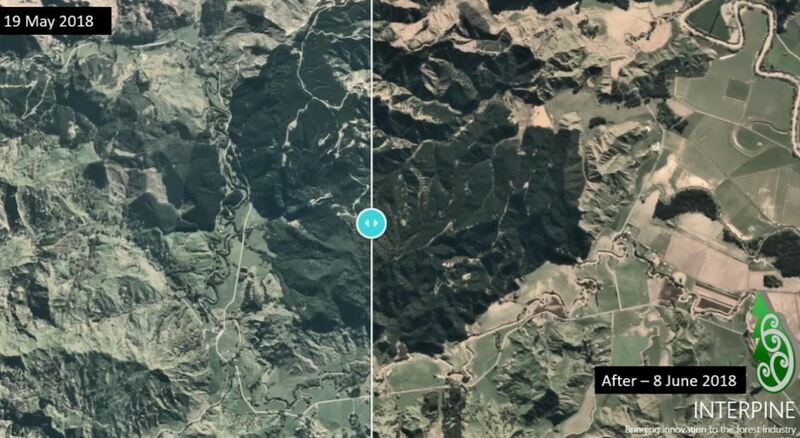 High resolution satellite coverage is now almost daily in New Zealand meaning that as soon as the clouds clear an insight into the effects of these natural disasters can be quantified. This is changing the way emergency, environmental and forest management teams can respond in a timely manner.